How to use zip code in Map Widgets? 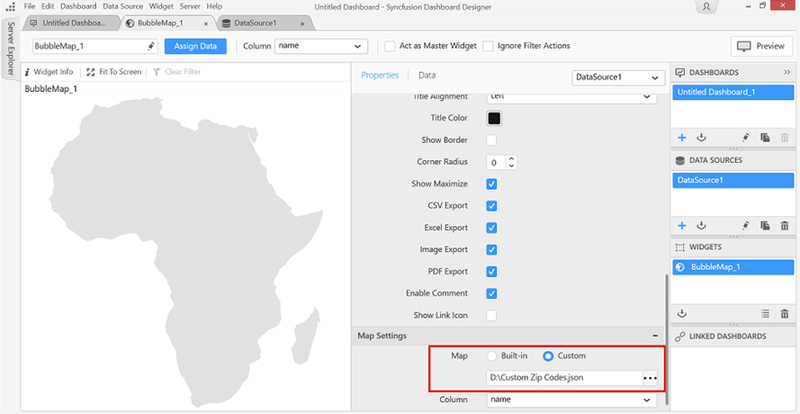 Add a Bubble map/Choropleth map widget in the designer canvas and select the properties tab. For details, refer this link. 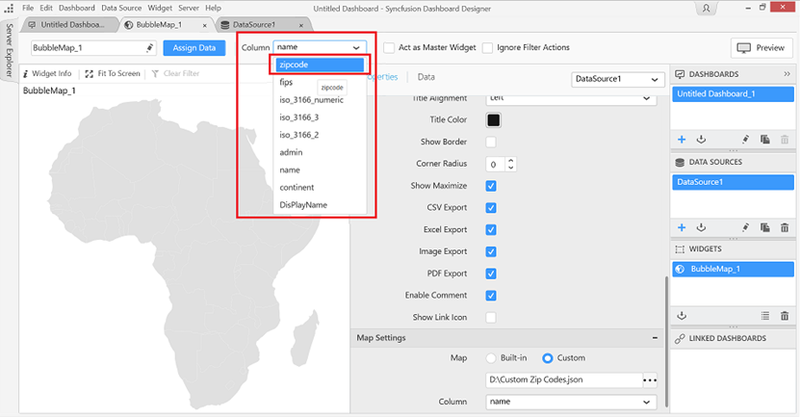 You can load your customized shape file (i.e., which having the zip code attribute) in the map widget by using “Custom” option in the map settings. 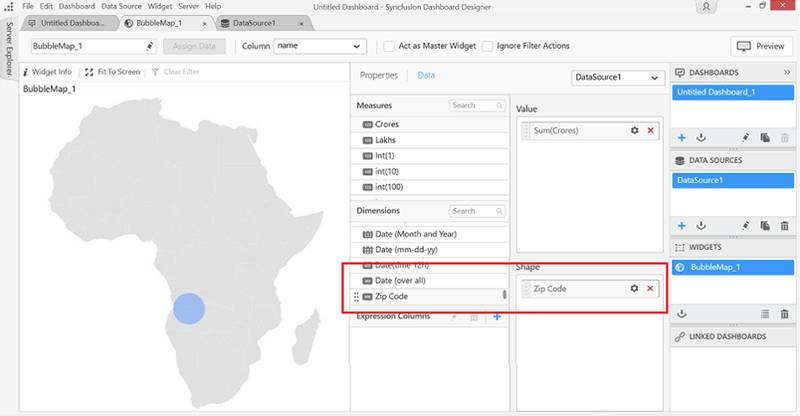 Bind the “Zip Code” column from your data source into the shape section of map widget. Now, the bubble is placed in the respective shape based on the zip code value.